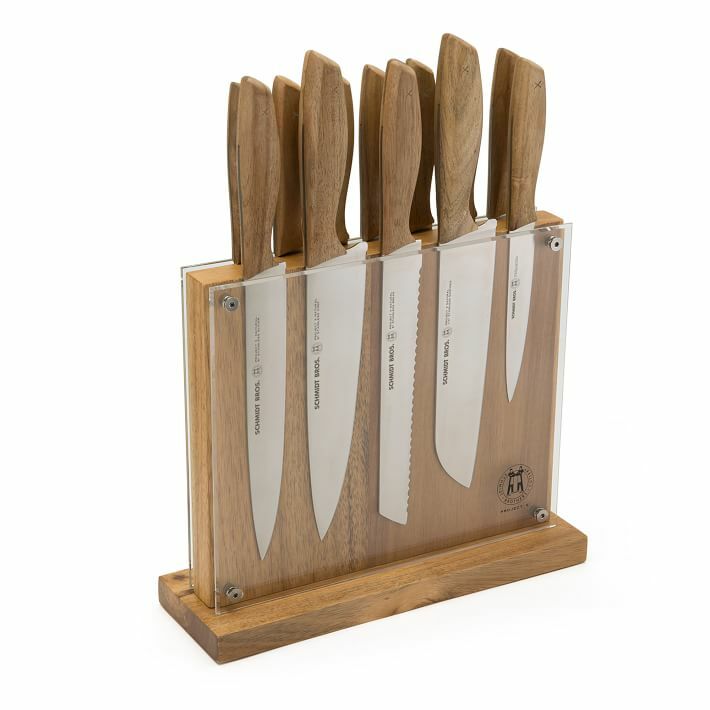 This is the knife block that I have at home. 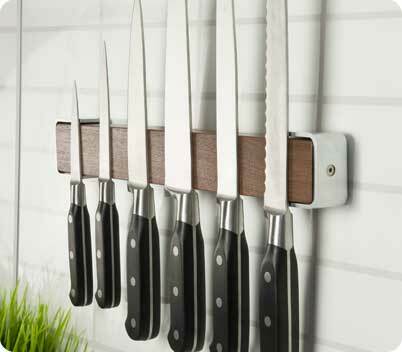 I absolutely love it because it’s a beautiful way to display my knives and very easy to access. 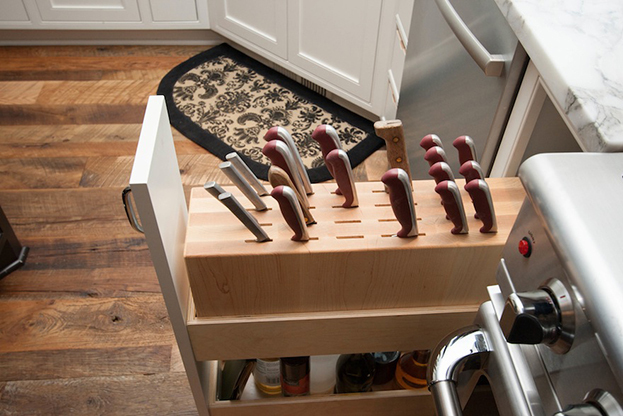 The best knife storage solutions are easily accessible in a prep area but are still out of the way of little hands. 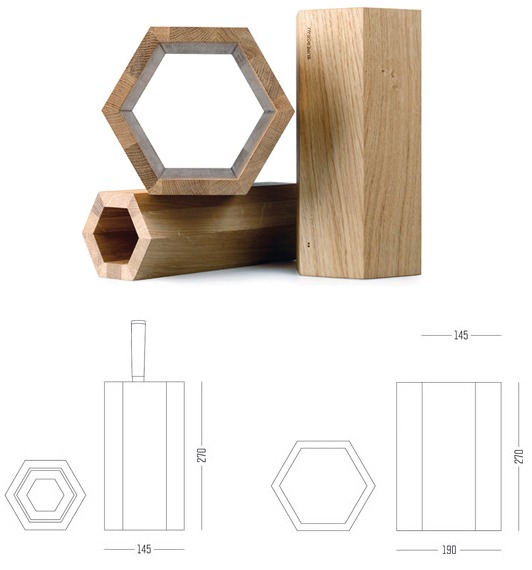 The drawer insert is probably one of the best options and would also age appropriately with the home. 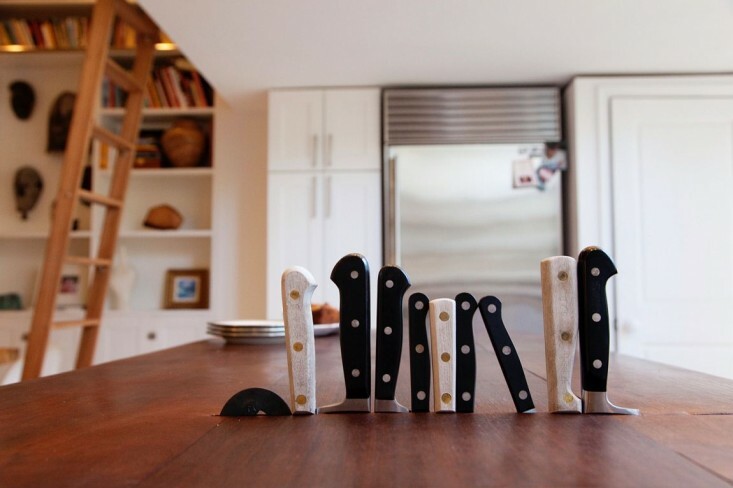 They keep countertop clutter to a minimum and protect the knives, too. 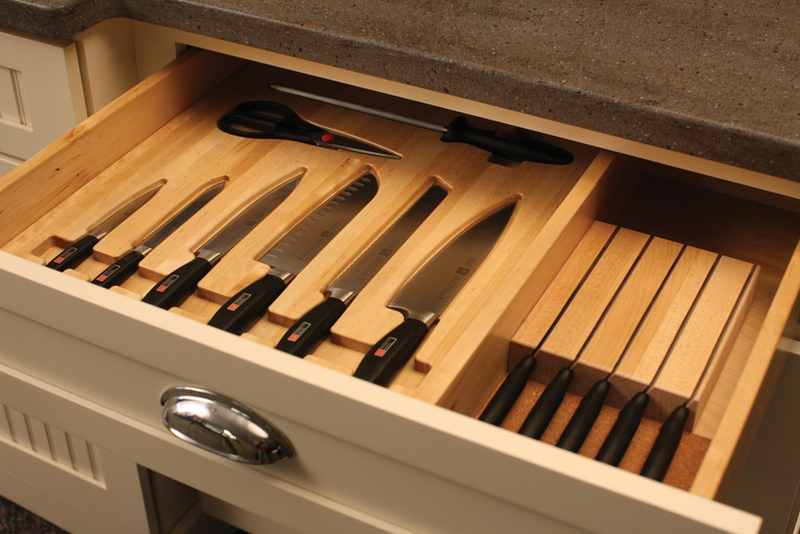 You can have drawer inserts custom-created to fit into a very shallow top drawer for flat things like spatulas, etc. 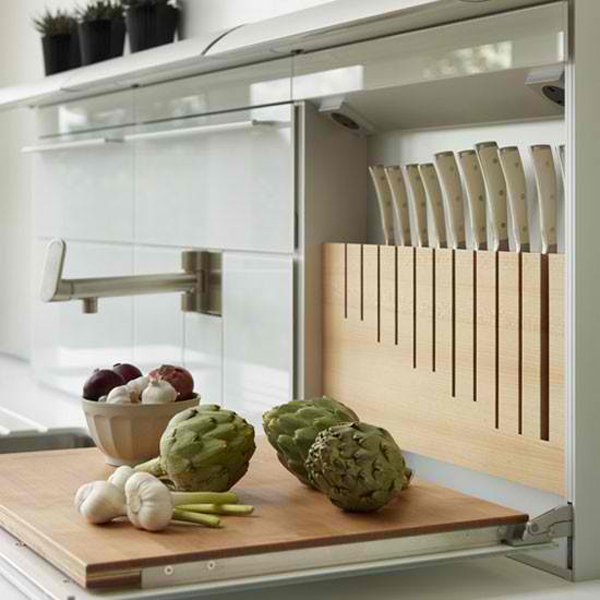 Another popular option for very busy chefs who prefer to have everything in-sight and readily accessible is a magnetic knife board. Easy to grab what you need, easy to put it back after washing. 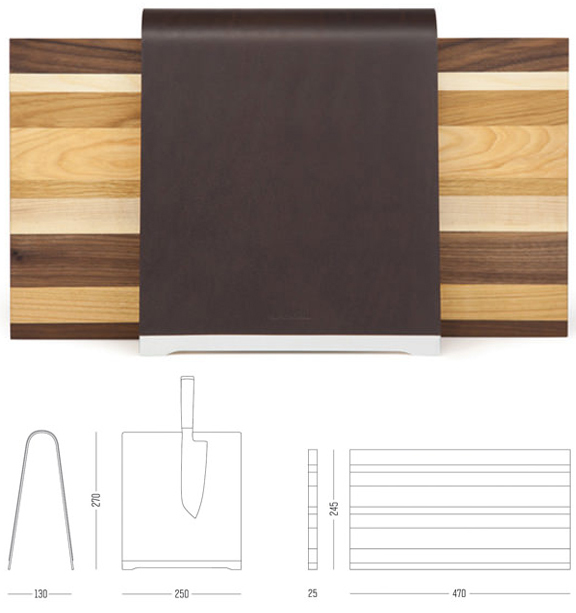 Who makes the magnetic knife board?